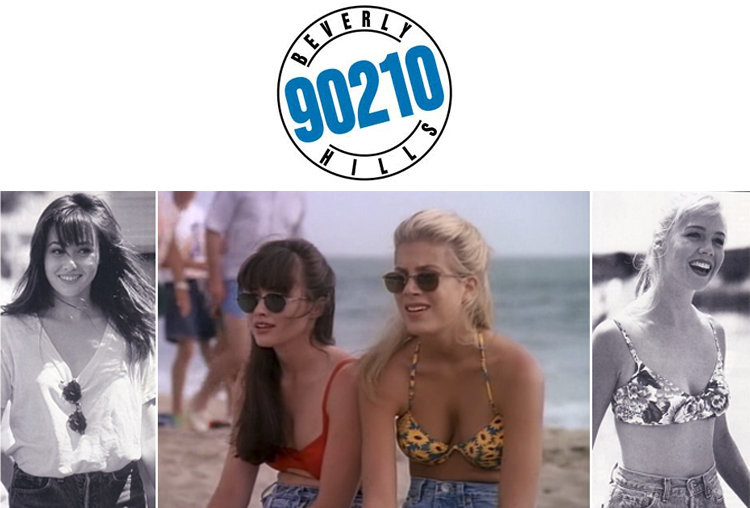 Beverly Hills, 90210 was a little bit before my time (the first season was aired in 1990; the year before I was even born) but probably about a year ago I started watching the teen hit drama. The story lines are a bit cheesy and while the lifestyle of a teenager is a little outdated due to obvious changes in the way we live our lives these days, I absolutely love the fashion. It's all very typical of what is in trend right now: high-waisted denim shorts, daisy and other floral prints, bright colours, oversized fits and fabulous accessories. What do you think of the fashion? Are you a fan of the show, or were you in your younger years? 90210 is my absolute favourite show. I'm up to season 8... Even though I started at season 1 three years ago!